Replay Now Online. 2 hours running time. What are your most “ah-ha” material which can be presented in under one hour? What is the big emotional problem your high ticket offer solves? Is this offer congruent with the free workshop? 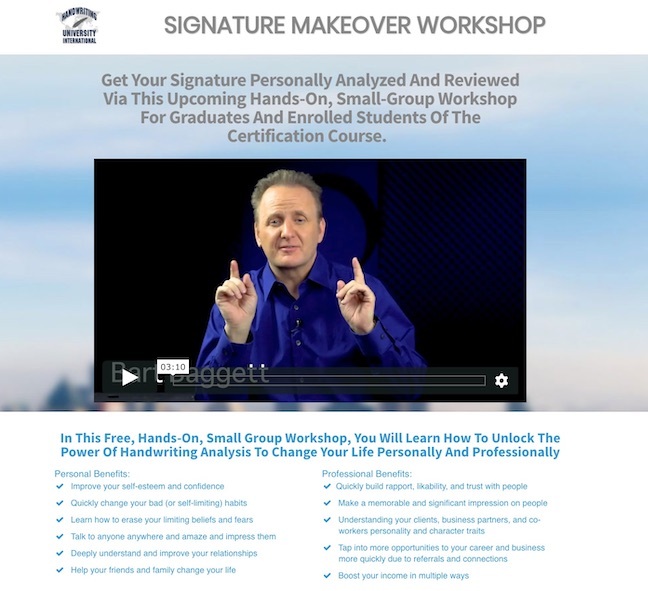 How you can get 100 new prospects a month registering for your workshop with a phone number. What is your Lead Magnet that they download before they get invited to the workshop? Do you already have an email list or retargeting “audience” in FB ready to run ads too? What is the content of your 5 content slides? What is the one small problem you can solve that gives you the opportunity to spend an hour with them building rapport, demonstrating your skill, and turning a cold lead into a warm prospect? Integrated with Accuity Scheduler software. I have found this is superior to calendly for this purpose. Download the full powerpoint presentation here. Customize for you with your own photo, call to action, and order now URL.